Welcome to the first of four contests to win a Vintage Metasmith Tornado. Simply add a caption comment below and the Retro 51 team will vote for the most creative, unique, funny comment that goes with this photo. The winner will win the Lincoln, vintage copper, Tornado! Contest ends on Wednesday evening at midnight. Good luck and have fun! I’m hoping this time I will win! A new discovery in the universe of pen and ink has arrived! Boldly going where no pen has gone before!!! To infinity, and write on! Keep your chin up. Be Bold! And reach for the stars! The prism reflection, of the Retro after glow stretches across the night sky. New, from JJ.Abrams – a remastering of the 1951 film ‘Star Nib’; featuring Metasmith Tornado as Captain Lincoln. An out-of-this-world pen for worldly writers. Here’s Lincoln at you, kid. Monitoring solar storms… the astrologists stared in amazement as they witnessed their first ever space Tornado. Monitoring solar storms… the astrologists stared in amazement as they took in one of the most beautiful sights they had ever seen… their first ever space Tornado. Vintage Metasmith Tornado: With a stroke of this pen, you’ll create a Universe too. 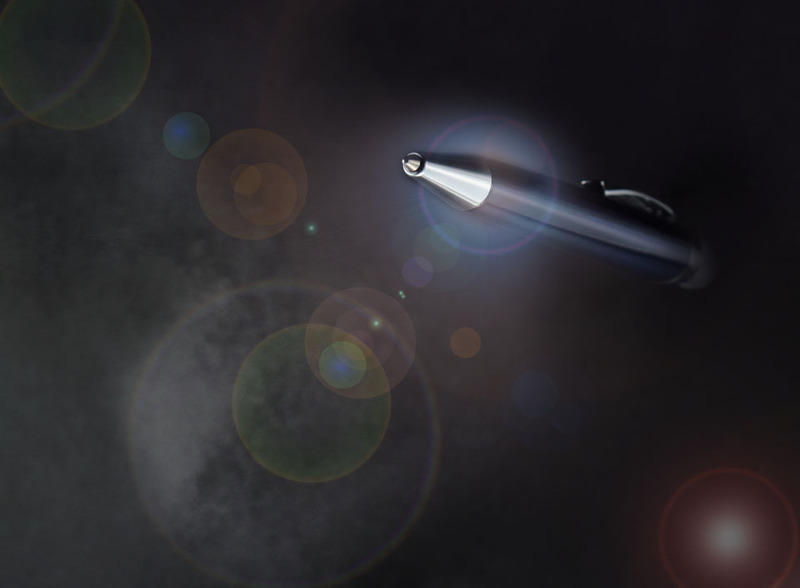 From the darkness comes a bold writing instrument. A brutal slaying – further proof that the PEN is truly mightier. . .
. . .than the Photoshop lens flare. Space, the final pentier. These are the voyages of the Starship Retroprise. It’s ONGOING mission: to explore strange new pens, to seek out new ink and new penciltions, to boldly go where no writing instrument has gone before. So is this a pen with lens flares or lens flares with a pen? A design with universal appeal…..The amazing Retro 51 Tornado. Retro 51: the sun shines out of its brass. The Lincoln Tornado, above, is ingeniously crafted using compressed aerospace-grade pennies. We need more lensflare, more I say!